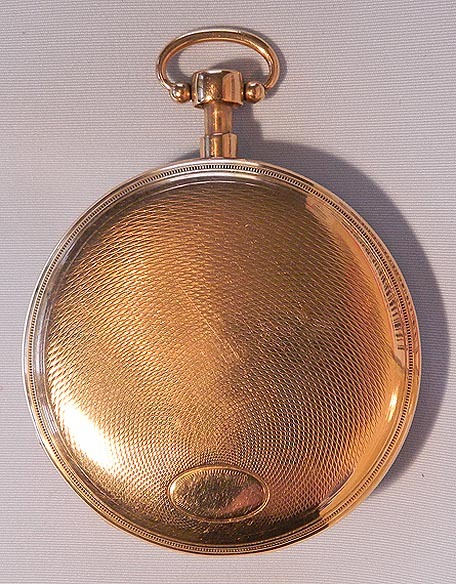 Fine continental 18K gold musical quarter repeater antique pocket watch circa. 1810. 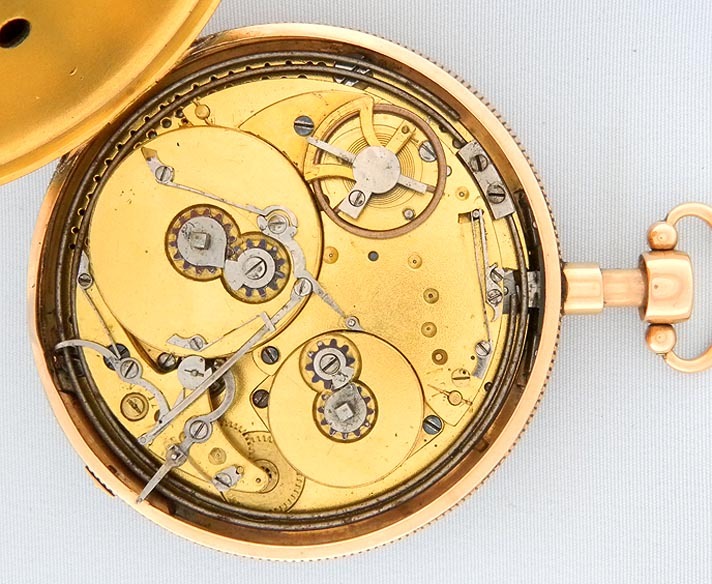 Breguet style engine turned dial with black numerals and blued steel Breguet hands. Engine turned case (2 small dings) with plunger pendant to activate the repeater and slide in the band to play the music at will. 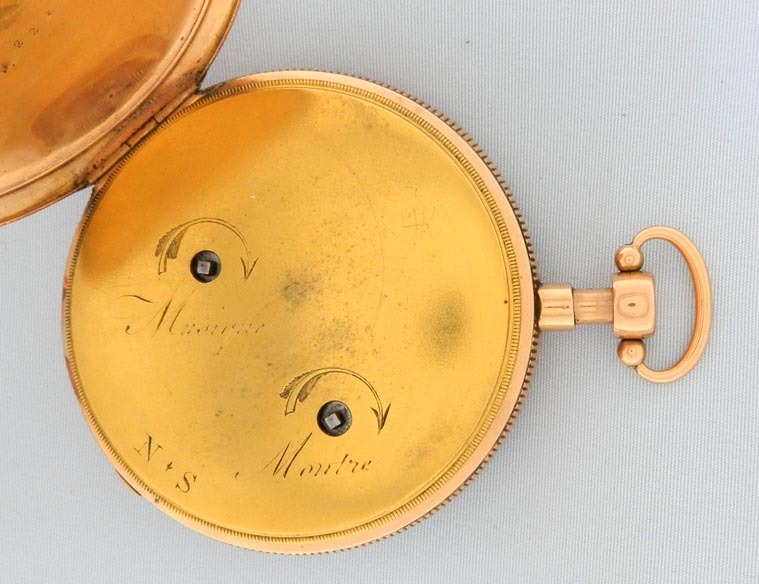 Gilt cylinder movement with lever protruding from the edge of the dust cover to choose to have the music play automatically on the hour. 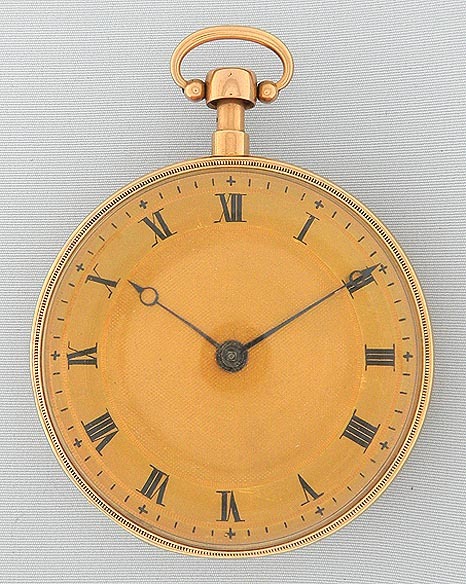 When the pendant is depressed this watch chimes the hours on two gongs with loud clear tones. It also plays a musical tune automatically on the hour and also on demand. This watch plays a sprightly musical tune with a minimum of mechanical noise.